I've travelled in excess of 5000 miles in pursuit of refining the ancient art of open water swimming (in the budgies of course) during the 2013 open water season. It's been SO EASY motivating myself after being flat on my back last November. (Wish I could bottle up and sell this stuff!). The whole season kicked off for me with a mere 24 miler in 24 hours in an Olympic pool which is Guildford Lido. 17/18 degree water and 1 degree air overnight. Frosty.... I finally had the chance to meet (in the flesh) the self-appointed Global Head of Open Water Publicity, Paul (Basher) Bates, who magically appeared (in one of the photos) to walk on water - walking it was easier than swimming eh Bash?!! In my lane, I made new friends with Sara Marley who really showed the lane how to swim quickly - she was the only one able to keep up with the speedy Dave Granger (who is one 1/2 of the dangerous brothers duo with Ollie Wilkinson - super-league swimmer extraordinaire who evidently went on to win Lake Zurich) - Dave led the lane and made most of us look stupid for 9ish hours until cramp forced his swim to end. The most touching moment was Jo Norton-Barker (herself hit by illness with 5 miles to go) staying till the end and congratulating me in limping along until the end when most people had gone home. 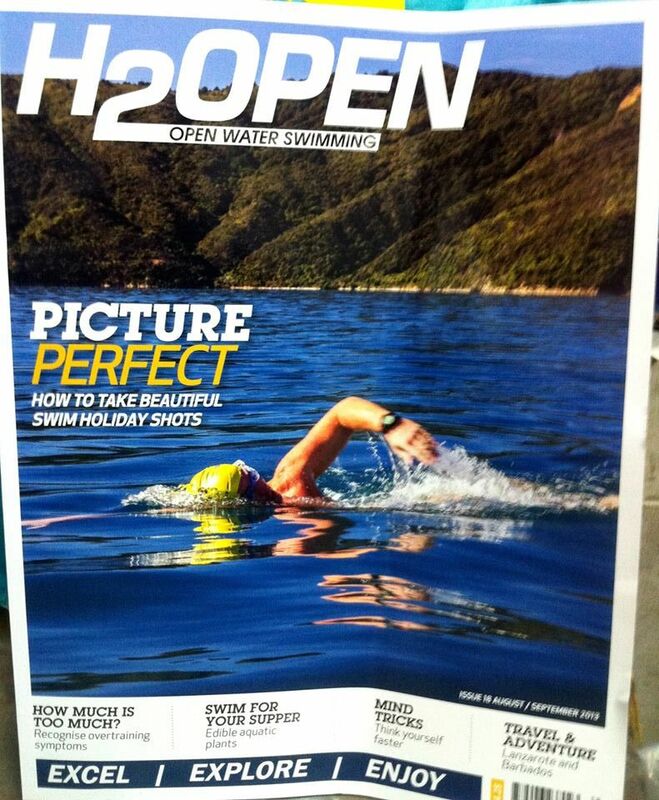 Still can't work out whether that picture in H2Open mag is Ollie or Basher. Either way, they eat up the miles quicker than most of us mere mortals... The real star of the show again was Lesley Zimmerman who single-handedly has facilitated over £30k of charity fundraising in organising this event. She never stopped encouraging and smiling in helping us achieve our personal goals. Complete saint. Gotta be on everyone's to do list in 2015. 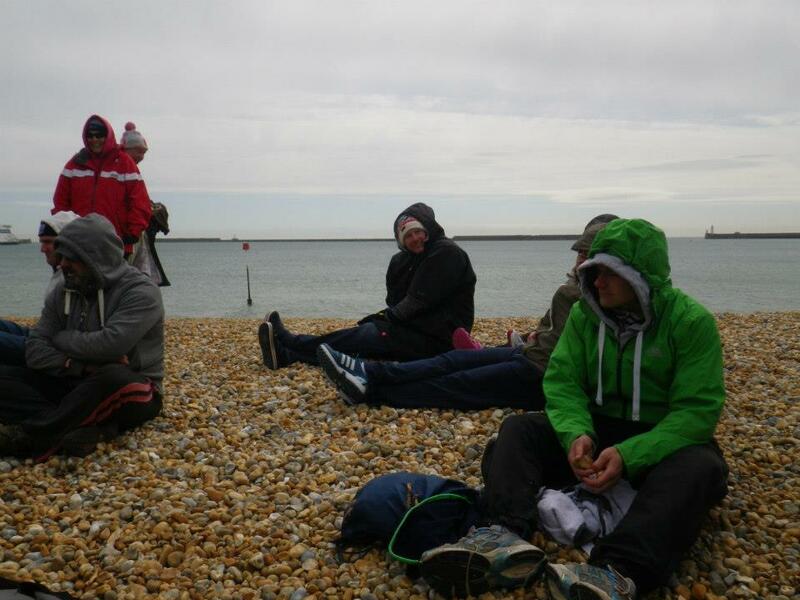 Dover - May training - cold enough for ya? Then spent each Saturday in May in Dover Harbour under the stewardship of generous Freda, Barry and Irene. These people are gods to me and without them most of the season wouldn't be so easy. That first Saturday was one for the brave with 20mins and then a 30mins (after 1 hour's rest) in 7 degrees - there weren't many of us! This will give me confidence that I can get in the sea in the winter.... Finally got to meet legend Sarah Tunnicliffe who then went ahead and swam the channel in a very useful time of ca. 16 hours. Super swimmers Alexia O'Mara and Ian Sall? also endured the unforgiveable cold in those first few weeks to achieve their awesome personal goals in swimming the channel. I was present 2 years prior when Alex struggled with the Champion of Champions - what a transformation & for everything she has had to overcome - well done Al - I'm so happy for you. This was cold this year at 12 degrees. Everyone who just got in and endured any period of time did well. 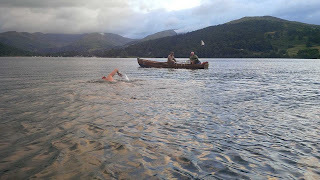 There are so many brave swims I witnessed but me being slow am always impressed by others enduring the water for as long as me > Helen Beveridge came all the way from Inverness to take on this self-inflicted mullering and finished. Amanda Bell swam bravely and experienced that huge feeling of accomplishment finishing as did Annabelle Lavers completing one of her first big swims. Pip Barry endured the water longer than everyone and that takes total respect. HB, AB & Pip would go on to be in a relay team with yours truly that succeeded in Loch Ness.....I never questioned that we would finish Loch Ness (no matter what the temperatures) after seeing them swim this.. The bravest swim I saw all day was from Sarah (Salli) Roberts who at only 13 years old got in and swam 200 metres. She got out (and beat herself up) but she certainly had a go. It's easy for many of us with a few more roast dinners/nights out/misspent youth under our belts. Another one of the Roberts family who is going to feature in the future. Well done. Cannot avoid discussing Bala without commenting on the weather. The long-awaited heat wave, 24.5 degree water and other than swimming, spent the entire time 'swanning around' in Speedos (not a pretty sight). This weekend is why I took up this sport. Just open water swim heaven - can we please have precisely the same for 2014 Andy?.... First swims for my mate Hugh Yarrow who pushed his personal boundaries to get the 9-mile weekend done. Never forget an amazing 2 hour dip on the Friday evening at Langower with Hugh, Joe Kane and Yorkie. It was bath-like and we didn't want to get out! 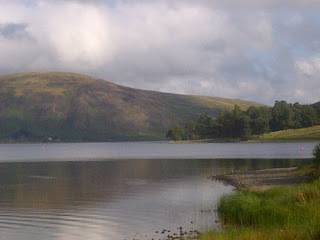 Yorkie went on (at the end of August) to complete Windermere 1-way breaststroke in tricky conditions 30 mins within the cut-off time in 8 1/2 hours. So happy for him and of course Joe who helps him. Heat wave in Wales with Hugh getting his money's worth..
Also was completely honoured to watch James Leitch finish his solo in ca. 10 1/2 hours. This man is a machine and just finishes this tricky swims smiling. He beat himself up that he didn't do the record and therefore went back for another crack the following weekend! This guy is in another league altogether. 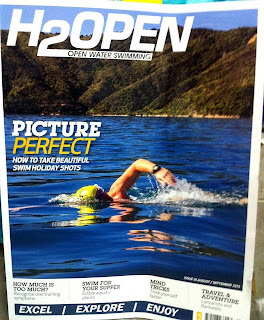 Around this time, had my article/piece published in H2Open magazine - and became a long distance runner again in the process! If only.........The spirit of the piece hit the right tone I think...hope that inspires people the way Thomas Noblett had an effect on me (and many others). 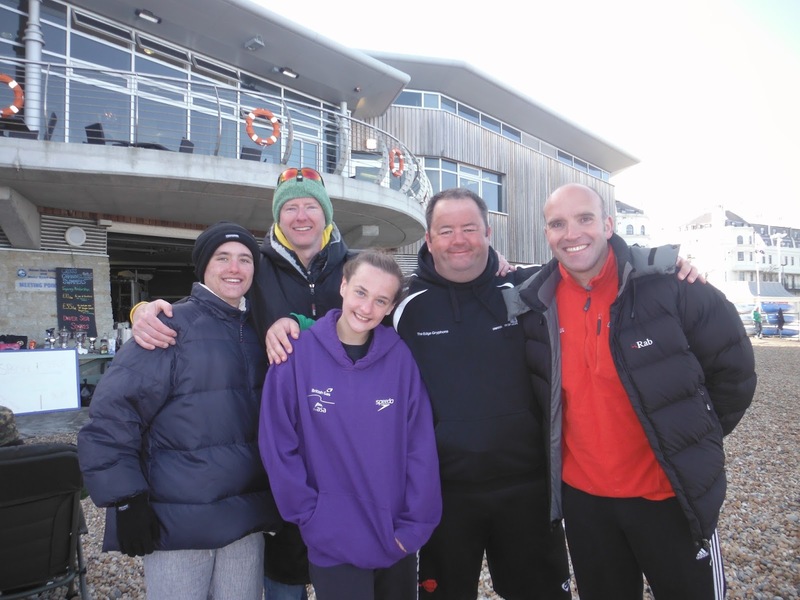 Raised £5k for The Marsden and The Rainbow Trust - my main charity event of the year. 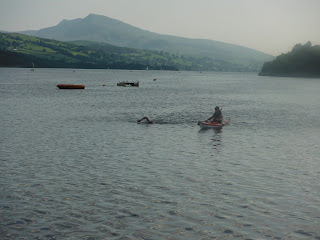 Swim was relatively easy as the water had to have been 19 or 20 degrees - complete Bala-like heaven again!!! Someone was looking down upon us. Another chance to swim alongside the greatest oarsman on the planet (and 3rd time oarsman for me) Mick McCarthy and absolute star Louise Bingham - chief fundraiser of the Rainbow Trust. The buzz before the start time was absolutely kicking with so many swimming legends with Kevin and Jane Murphy helping super swimmer Pavel (to victory as it later transpired). Even had the pleasure of been waved off by the great Karen Throsby who then went on to complete MIMS and achieve that rare beast called the Triple Crown. Wow.... Her blogs have helped me SO much. If you are a swimmer and haven't read The Long Swim then your swimming (and mental state) will definitely benefit. Well done KT for going back to get it done. Special thanks at the end of this swim for Andy Wright for helping to get me out of the water and Pat Llewellyn for helping me get dressed as my muscles cramped like mad. Jane Murphy gave me the biggest hug when I finished and that meant the world to me. 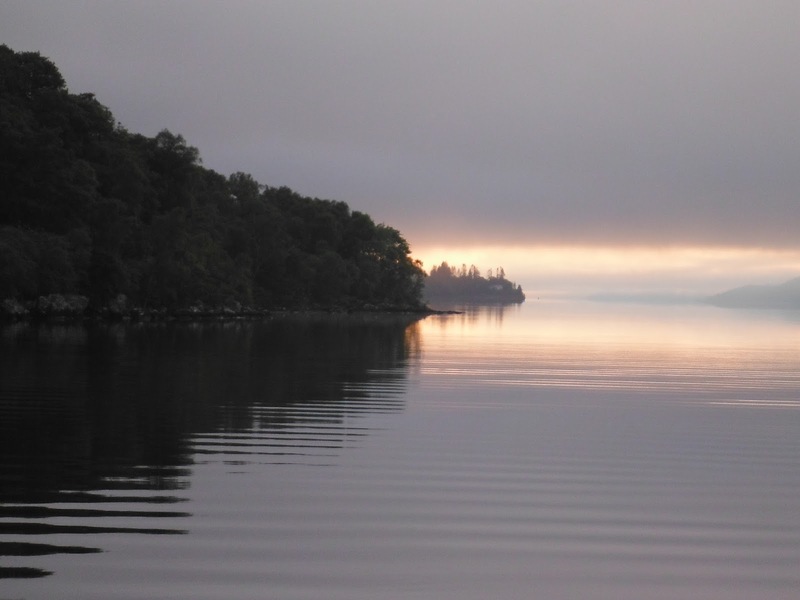 Thomas Noblett and Andrew Tighe scooped up the limping gimp and da crew and treated us to an enormous breakfast, a guide of the man cave, the boat house and their jetty. So thrilled for this generous man that he swam the channel. Another great role model and publicist for all things swimming. His swimming inspired me to get off my backside 3 years ago...not played the Xbox much since! One word - stunning. Greta who suggested this location for the BLDSA should receive a medal in next year's honours list. 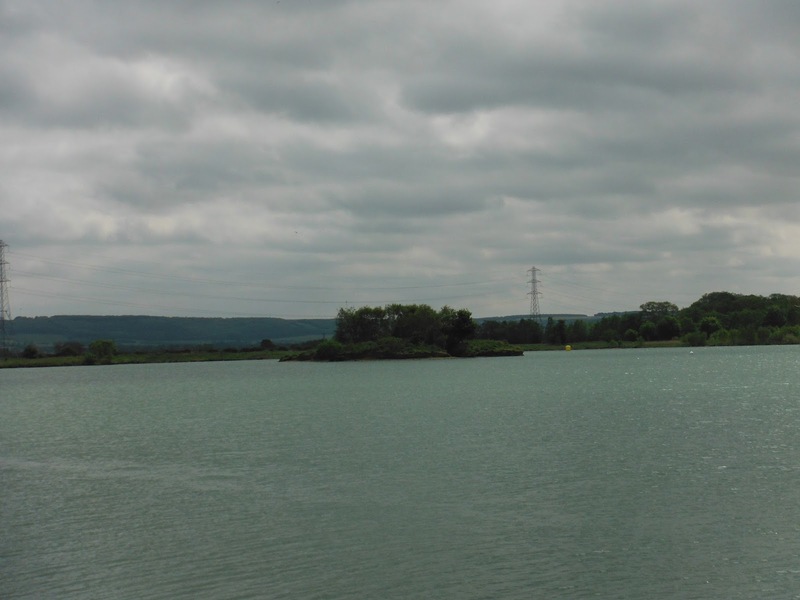 Without joining the BLDSA would never have come across this unspoilt paradise for swimmers. Water was a bit nippy (shivered the whole 6.5 miles and my shoulders evidently were blue for much of the swim) but saw the bravest of the brave, Yorkie, complete the swim breaststroke (40 mins after the rest of us) and then swan around in shorts. If they gave a prize for the most amount of smiles in a season this man would be a legion ahead of everyone else. 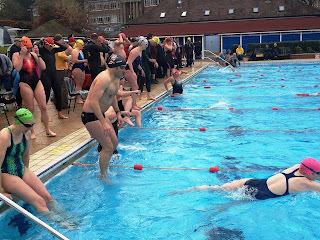 His mum, Christine, kept time for the first time and supports all swimmers achieve their goals with huge encouragement. My Kayaker Jean and I giggled and giggled so much - both of us losing 1/2 the feeds after the 1st mile! Who needs feeds when you have loch water?? I also learnt that I quite like a finger of fudge instead of a milky way at feed time....only 20p too.... Without Chris Hickling coming out to usher me out of the water, would never have made it out alive as my body and mind simply froze. Magical place and will be back with Mrs Sheridan for a weekend hopefully next year. I hope loads of us have a massive party here next year. The first swim where the current assistance helped me to sub 3 hours for 6 miles. Amazing scenery and terrifically well organised from start to finish - thanks Steve Breary (and Sam for doing such a great job kayaking)....felt honoured to be able to walk on Duke of Westminster land/water at the start and see the trees simply fly by from start to finish. Don't get this in many other swims! Another great splash alongside Sian Williams who is a new face to me this season who has decided to absolutely thrash me in Bala and this event since the Champion of Champions. 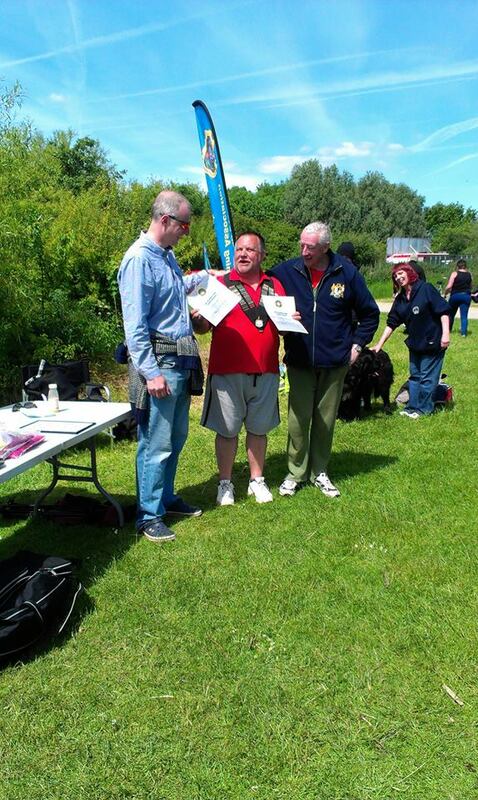 Finally, wouldn't be right to finish this blog without mentioning 2 of my Nemes Nutters brethren (who train also near Sevenoaks at Holbrough Lakes/Nemes Diving Academy). Firstly, a training partner Liam Cameron who last week swam Windermere in under 7 hours (this guy is gonna do it all) and Giovanna who also achieved the same personal goal this year in swimming England's longest lake. Giovanna is a complete inspiration to so many of us (not just through her coaching) and I have her to thank profusely for encouraging me to head down this road after all her enthusiasm in the heated outdoor pool at David Lloyd in 2010 washed down with egging me to head to the local lake to push the boundaries. This lady knows no limits and is the greatest mentor to so many of us. If you are around Sevenoaks during the Winter Season and fancy a swim. Call me and bring yer cossie! If I've omitted someone from this piece, please forgive me (and don't take it personally). Without the volunteer, crews and safety guys, would be stuck at home still on the Xbox. Thanks guys.